Register Today to RUN FOR ANGELS. All proceeds benefit the Angels House in Newnan GA. (http://www.theangelshouse.org). 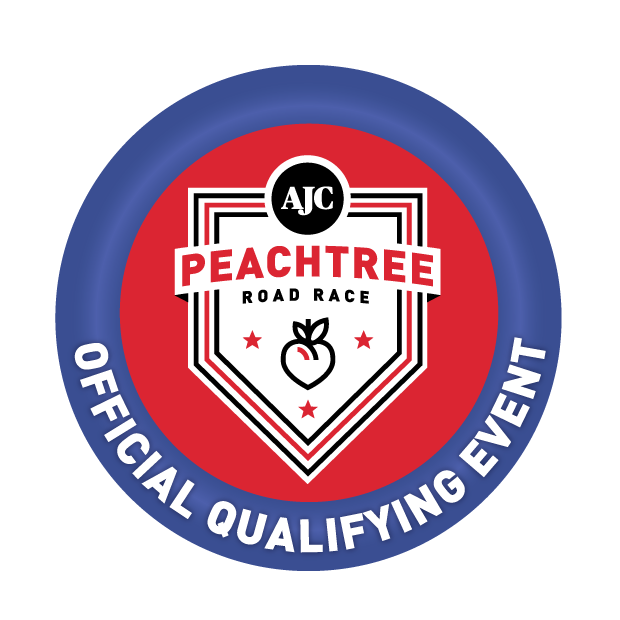 With both the 5K and 10K courses being AJC PEACHTREE ROAD RACE QUALIFIERS (USATF 10K GA15006WC, USATF 5K GA11004WC), the RUN FOR ANGELS is a highly respected and well-attended event attracting hundreds of participants from all over the southeast each year! Chip timed and gun start. Guaranteed Run T-shirt if registered by January 22rd! Online registration closes Wednesday, January 30th at 11:59PM. Late registration will be accepted at packet pickup and 7:00am race day. 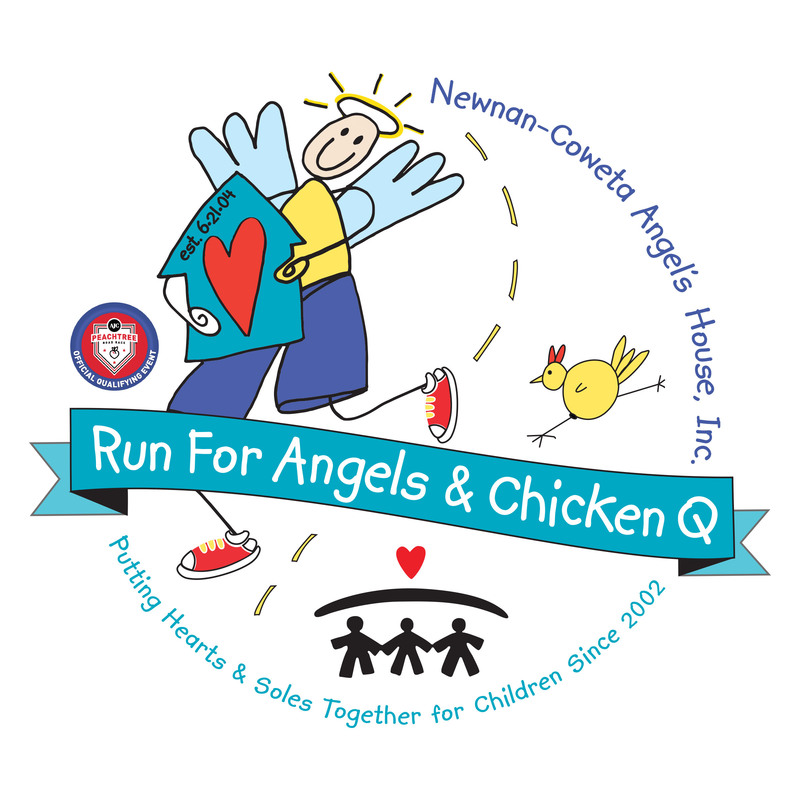 Order your $10 Chicken Q plates when you register to run for your post race meal! Start Line: Chip-timed races begin on Greenville St. between Salbide Ave. and Savannah St. Finish Line: Chip-timed races ends on Salbide Ave., adjacent to the First United Methodist Church. Late registration and early run packet pick-up for registered runners and walkers on Friday, February 1st, 12:00pm - 6:00pm at First United Methodist Parish Hall, Greenville Street in Downtown Newnan. One Mile Fun Run/Walk: Ribbons will be given to all participants 12 and under. 5K & 10K:Awards for overall M/F finishers in both races; Overall M/F Masters in both races; 1st, 2nd & 3rd place finishers in the following age groups: 10 & under; 11-14; 15-19; 20-24; 25-29; 30-34; 35-39; 40-44; 45-49; 50-54; 55-59; 60-64; 65-69; 70-74, 75 & over. Show your team spirit! Every school is encouraged to form a spirit team consisting of anyone related to your school...students, teachers, coaches, parents and siblings! Gift cards will be awarded to the top 2 schools with the most participation! Elementary, Middle & High schools with the most participation will receive a trophy. You must fill in your school when registering for school to receive credit.